If you haven’t ridden a fast motorcycle or driven a racing car, then you are in for an almighty shock if you ever get behind the wheel of a Seven. Try to drive it hard, on British ‘B’ roads, and if you don’t die of visceral fright, you will soon have a huge grin on your face. All true petrol-heads should have owned; an elderly English sports car, an Alfa Romeo and a Seven before they’re too old to have any fun. A Lotus / Caterham Seven isn’t a car it’s a lifestyle choice, a statement of intent that you are not going to be just a number. You need to be fairly nimble, fairly skilled and fairly brave to own a Seven, any Seven. The meek need not apply. 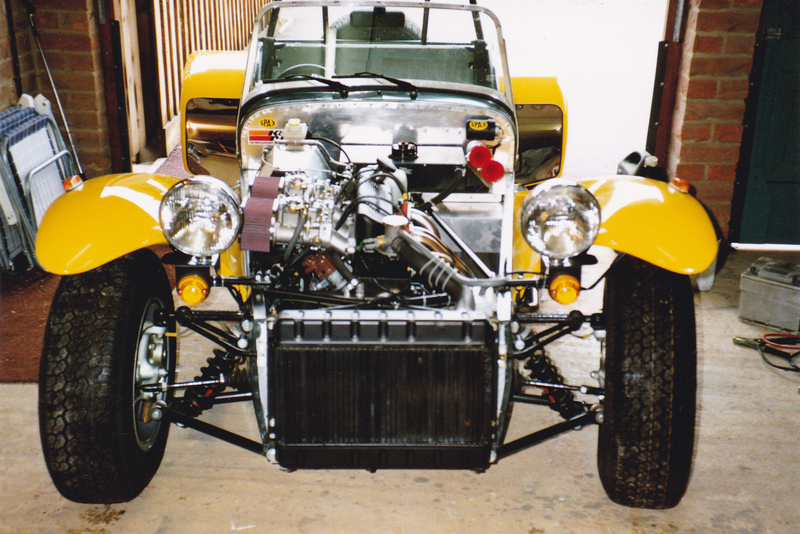 All Sevens, (the Series IV is a slight exception), consist of a steel spaceframe, clad in aluminium, (fibreglass / carbon fibre), with an engine at the front, axle and differential at the rear, with a gearbox and two seats in the middle. There are no doors, weather protection is minimal, instruments and switchgear simple to the point of absurdity, the steering wheel and gear-stick are tiny, seats surprisingly comfortable, and the whole thing weighs about a half a ton, so power to wight ratios are usually impressive. The new Caterham Seven 160 has about 160 bhp per ton. 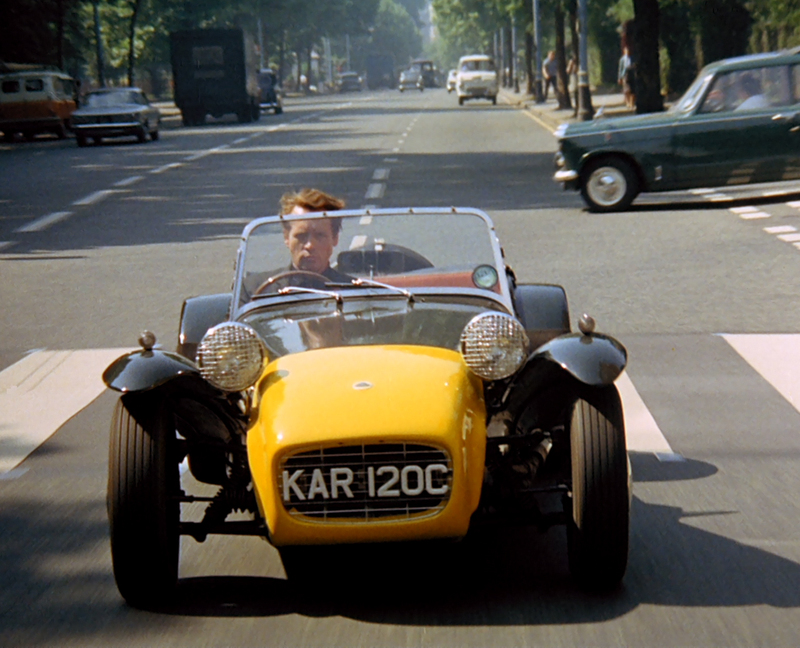 The Caterham Seven 160 is the new entry-level car from the much copied car-maker. 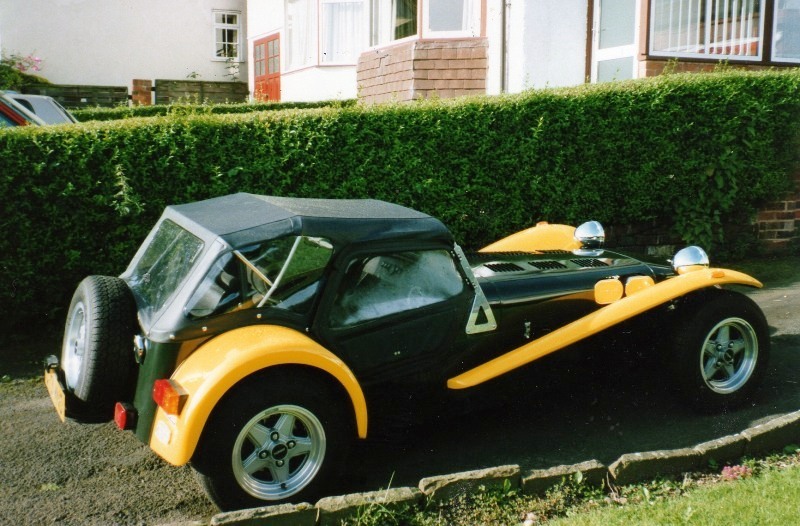 You can start to buy a Caterham Seven 160 for a fiver under £15,000, (in kit form). The 160 is radically different from all previous Sevens, (other than home-built specials), because it has a tiny, (660 cc), three-cylinder turbo-charged engine, that really belongs in a motorcycle or Japanese city car, (Kei). It also harks back to the Seven’s early days because it has a live axle at the back. Live axles aren’t necessarily a good thing. OK, the D-Type Jaguar won the Le Mans 24 hour with a live axle, but that was in 1955, 1956 and 1957. 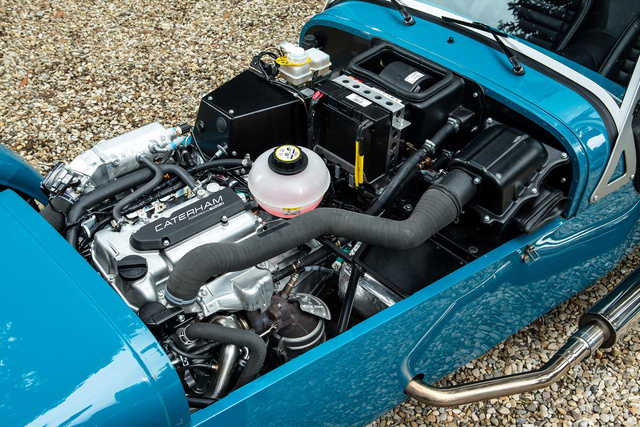 Caterham long since switched to a de Dion set-up for its more powerful cars. I’ve driven, (and built / rebuilt), de Dion and live axle Sevens, and there’s no doubt the de Dion set-up is a superior bit of kit. Live axle Sevens can suffer from all kinds of handling issues unless everything is kept spot-on, you’re judicious with the throttle, and you don’t try to put too much power through very fat rear tyres. As far as the Seven 160 goes, for £14,995 you will get an unpainted body / chassis with a 660 cc turbocharged engine sourced from Suzuki, coupled to a 5 speed gearbox and that live axle. You’ll also get cloth seats, (adjustable), but no weather equipment except a wind deflector. And, you really do need a windscreen and sidescreens, (tiny doors), to dive a Seven over 40 mph, especially in the rain. The basic kit is shod with fairly narrow tyres, (Avon 155), on 14 inch steel wheels ~ and there’s nothing wrong with that. A Seven 160 gets 80 bhp and 79 foot pounds out of its 660 cc turbocharged Suzuki motor, which revs to over 7000 rpm. A finished car, (and driver), is going to weigh in at just about half a ton, giving a very impressive 0 ~ 60 time of 6.5 seconds, and an alleged top speed of 100 mph. Sevens have the aerodynamic profile of a box-kite, so acceleration falls off after that 0 ~ 60 sprint. You are supposed to get well over 50 mpg out of one of these things, but who is going to care? For example; the tried and tested Caterham Seven Roadsport range starts at £19,995 in kit form with a 1.6 Ford Sigma engine giving 125 bhp and 125 lbs ft of torque. Crucially the Roadsport comes with de Dion rear suspension. Admittedly, I could easily spend £35,000 building a 7 Roadsport, and if you really tried hard you could practically double that for a very high specification road car.